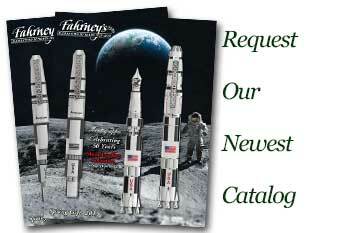 Order your Fahrney's Exclusive Clear Bottle With Polished Brass Cap and 60 Paper Clips today from FahrneysPens.com. Fine Pens, Refills & Luxurious Gifts – great prices & fast shipping. You'll never hide these paper clips! 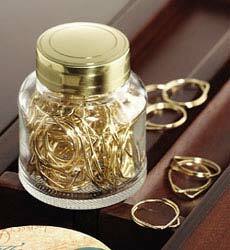 Sixty unique gold plated paper clips come inside the glass bottle with polished brass cap coated with a protective lacquer. A handsome accessory that makes a lovely, useful gift.